I’ve never once tried to hide my distaste for Xion. Is part of my disgust due to the fact that she’s part of the worst game in the entire Kingdom Hearts series? (Yes, I am saying Kingdom Hearts 358/2 Days is worse than Kingdom Hearts Re:Coded.) It certainly doesn’t help, that’s for sure. However, she isn’t the only reason for it being a bad game. Even without her, the game would be pretty terrible. There is a reason, you know, why Square Enix didn’t attempt to port the whole thing to a console. True, this series likes to shoehorn in pointless characters wherever possible, and then follow them up with “reasons” why they’re important and how they fit overall. To say that one particular character is worse than the other forced characters may seem like nitpicking. That said though, Xion is one character in the franchise that literally has zero reasons to exist. She wasn’t anyone’s Nobody. She never has been a pivotal force in anything, unless you count her being the final boss in 358/2 Days. Spoiler alert: I do not. 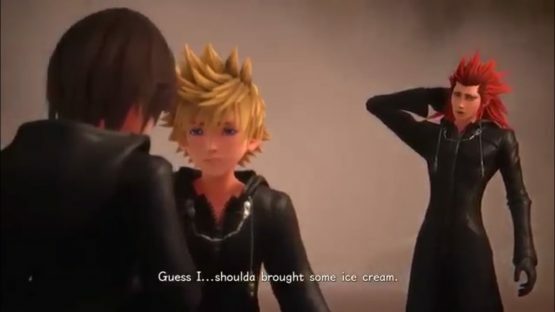 Aside from the fact that Xion was wholly created just to give 358/2 Days some additional momentum aside from “here’s how Roxas spent his 358 days with Organization XIII before trying to escape,” she was literally created. In a lab. I’m sure Xemnas had test tubes and everything. When Xion first removed her hood in 358/2 Days, you couldn’t help but notice how she looked a bit like Kairi. That is, her hair style looked like Kairi. The eyes though, those were unmistakably Sora’s bright blue eyes. But she couldn’t be Sora or Kairi’s Nobody. Sora’s Nobody is Roxas, and Kairi’s Nobody is Naminé. Riku hasn’t lost his heart that we know of, which is only confirmed the first time Riku fights her in the game. He even tells her she’s not supposed to exist. It’s really at that moment, when Riku speaks to her, that you know she’s a copy of Sora somehow. She’s essentially similar to the Riku Replica from Chain of Memories that likes to rear his ugly head every now and then. It’s not until the end of the game that she reveals to Roxas that she’s a copy of Sora made from his memories. When Roxas slays her, she tells him that she’s returning these memories to Sora. I’ve never been sure of which memories she came from. She’s certainly not from his days in Chain of Memories, because Sora mentions in Kingdom Hearts III that he still doesn’t know what he’s supposed to thank Naminé for. Also she’s the FOURTEENTH member in Organization XIII? It has thirteen in the title. There’s no room for a fourteenth member. 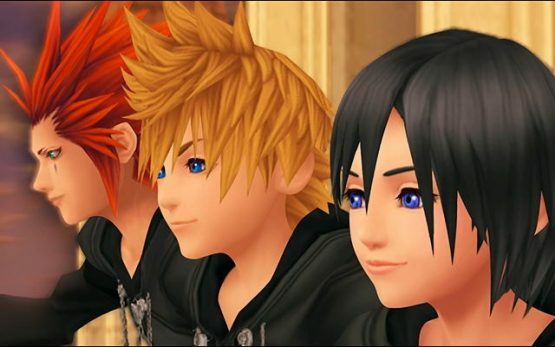 What were they going to do if both Roxas and Xion worked out? Kill Xion, because she was made from nothing anyway? As pointless as Xion was in 358/2 Days, bringing her back was even more pointless. I broke it down a bit when dissecting Sora’s three hearts, and I’m going to reiterate it here. 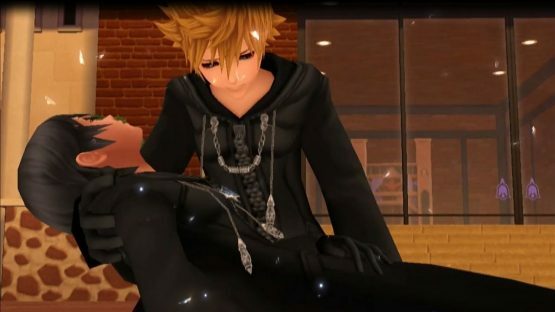 There is absolutely no reason whatsoever for Xion to live on in Sora’s heart. She was made from memories, for crying out loud. Secondly, she had no heart to begin with as a Nobody. Her time was over when Roxas defeated her at the end of 358/2 Days. So why in the world would Square Enix bring her back? If we (begrudgingly) put aside the fact that she should not exist, what real point does she have in returning at all? Xemnas and Xehanort somehow brought her back—without Sora noticing he was missing his third heart, by the way—as the thirteenth member of the new Organization XIII. There is no one else that isn’t a creation from a test lab that can be part of the new Organization? Even all of Xehanort’s selves from the past make more sense than Xion, and that’s really reaching. Besides, she was a thirteenth member for maybe five minutes? Were the developers really that dead set on making her relevant? Evidently so. Am I saying she’s the worst character because she shouldn’t exist at all, much less should never have been brought back in the first place? Why yes. Yes I am. 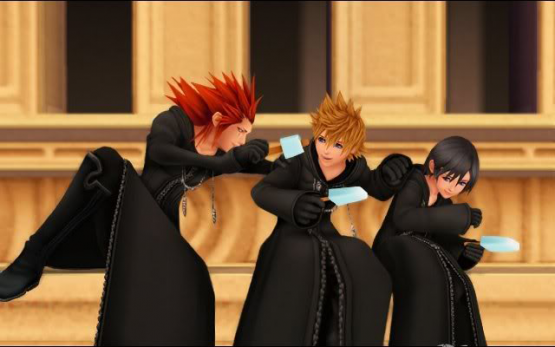 I’ll even defend the existence of some of the original Organization XIII members appearing in Kingdom Hearts III when they really didn’t do much, because at least they have a personality. I swear Xion is either in a comatose state, giggling sheepishly, or crying. That may be perhaps her biggest fault: she’s not even likable, and she is supposed to be liked.